In the national and international policy documents, the inclusive education is seen as an educational priority. In order to support their implementation, the Verbina public association, an APSCF member organization, has developed the didactic support material “Individualizing the learning process of reading and writing for children with special educational needs”. The process of familiarizing children with reading takes place over a relatively long period of time. Reading does not mean simply to decipher a text. Knowing how to read implies understanding what you are reading. The simple knowledge of the letters and the ability read are not enough to use these skills as tools for knowledge. Acquiring reading and writing means request working techniques that allow the child to orientate himself in the text and to understand the message. The didactic support material was developed in accordance with the provisions of the Concept on the individualization of the educational process through curricular adaptations and the methodological guide Individualization of the educational process through curricular adaptations, documents approved by the MECC in 2017, and comes to the aid of the teacher, the support teacher, the parent and other specialists involved in the process of learning reading and writing by children with special educational needs. The material was developed by the Verbina with the financial support of the IM Swedish Development Partner, within the project “Developing an inclusive education model for children with severe intellectual disabilities”. 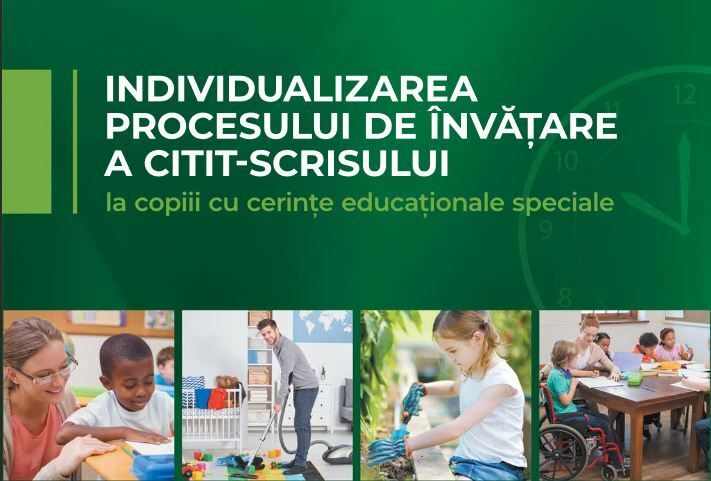 The didactic support material “Individualizing the learning process of reading and writing in children with special education” can be downloaded here in Romanian language.